Hello Guys, Today I’m going to help you guys with a problem faced by every android user and the topic is “How to Uninstall multiple apps from Android device at once”. Firstly, We have multiple apps to achieve our task. We need to select an app with suits your needs! We have many apps which serve the same purpose to Uninstall but I’m selecting only a few which are great, easy to use apps. 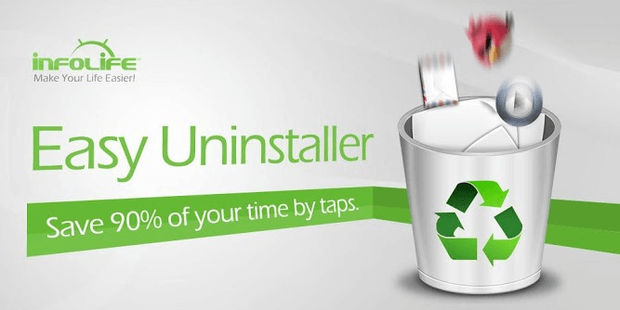 This Easy Uninstaller app is a fast, advanced, powerful, easy-to-use and user-friendly. It comes with function like multiple uninstallations in one go. 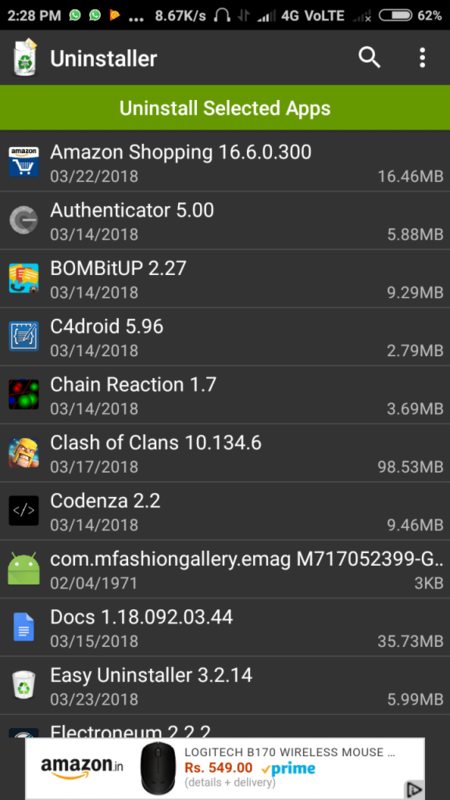 This app can work without root. 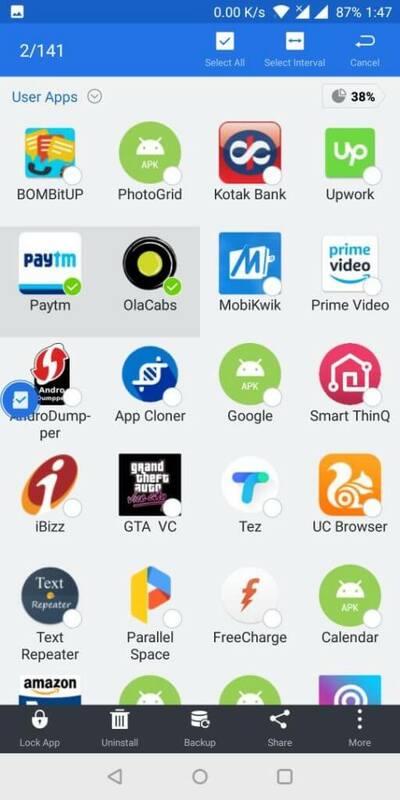 You just have to click uninstall button one by one, as Android system won’t allow non rooted users to uninstall apps in background. Just Download the app from below and use it. Most reputed File Explorer. It has many features like cleaning residual files, cache memory, music player, unzip and unrar. This app works for both rooted and non rooted Android users. 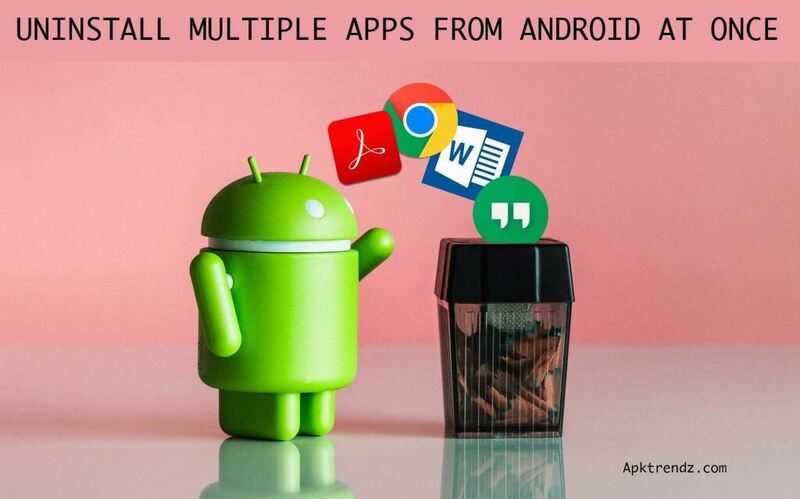 We will tell you easy steps how can you uninstall multiple Android apps from your phone with the help of ES File explorer. After that, open this app from your phone, click on App button. Then long press any app, select the apps of your choice. Click on Uninstall button from button, then just hit ok and apps will be uninstalled one by one. 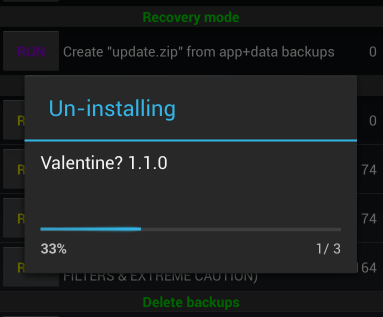 Uninstaller is pretty much user friendly app. It concentrates on clean User interface. Easy to use, makes Uninstalling apps easier. This app is available on Google play store for free. Simply download this app from below download link and use it on your phone. 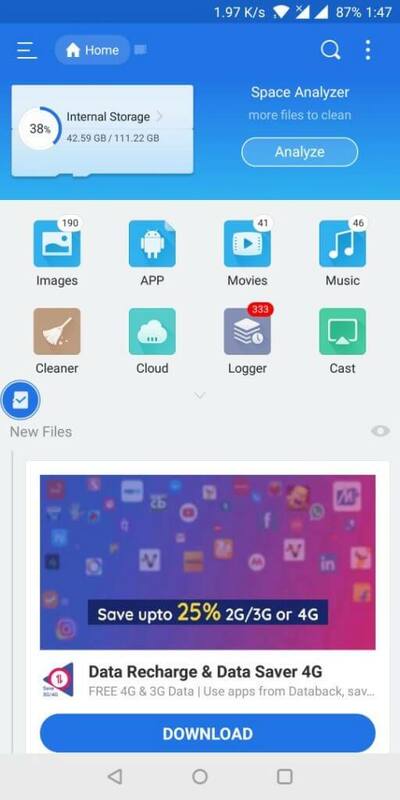 This app will also look for additional files that current uninstalling app is leaving in your device and will ask you to delete those as well. 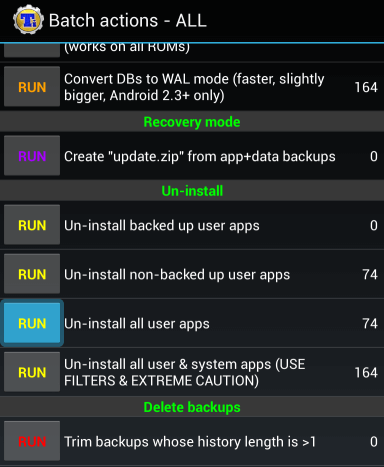 Download the Uninstaller app from Google Play Store. You will find apps installed on your device. 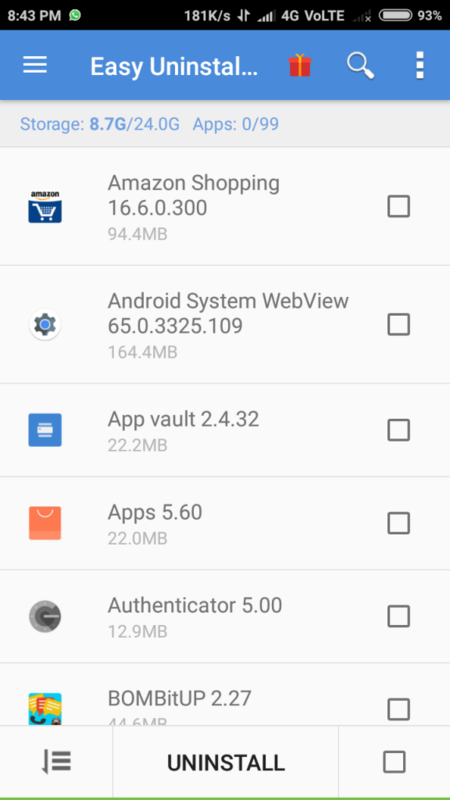 Tap on the apps you want to Uninstall. When done click on the green button on the top with text “Uninstall selected apps”. Accept the prompt to Uninstall. Note: Before we start this process. We need a device which is rooted. After opening this app, it will ask you to allow root permissions, Click on Grant. Now App will get root permissions, you will go to main screen of the app. Click on Menu from top Right corner of the app. 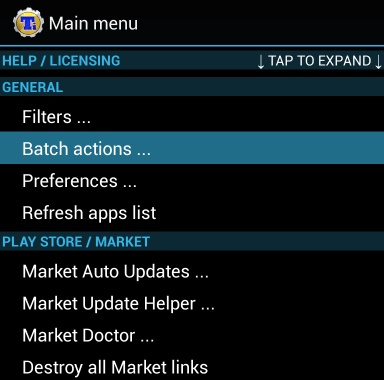 Then click on Batch Actions option. Now scroll down a bit, then click on Un-Install all user apps button. Now you can see all apps list, which are installed on your phone. 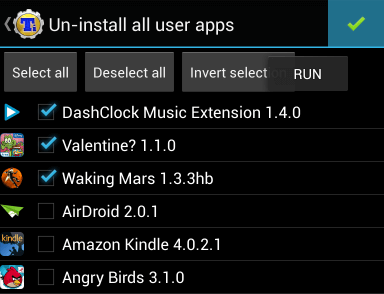 You can tick apps one by one which you would like to uninstall. Then click Tick button from top right corner of the app. Now process will start, it will start uninstalling apps from your phone. Now you are done. process will finish and apps will be uninstalled from your phone. If you was added apps shortcuts on home screen, then you have to remove them manually. 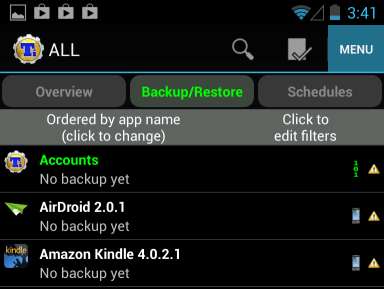 So guys, this was the way which we use to Uninstall multiple Android apps at once. We have provided both rooted and non rooted apps method, which you could use on your phone. Stay tuned at our website apktrendz for more cool tutorials like these. If you have any questions or suggestions regarding this tutorial then let us know via comments below.